Face masks are my current skincare obsession. 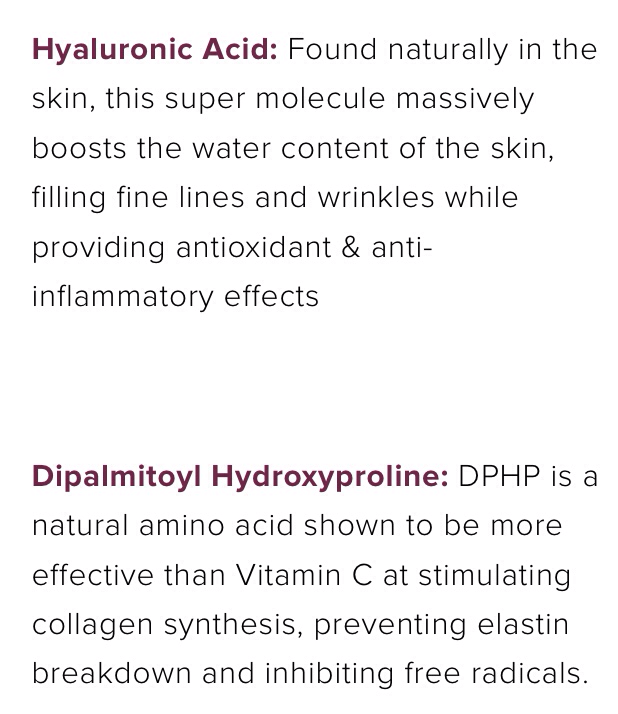 By drawing out impurities and hydrating the skin they help to repair damage and promote a healthy complexion. With many different types of masks on the market, it is hard to know which product will suit your skin type and how they will react with your skin. Clay and paper masks can be drying and can contain harmful chemicals which will cause irritation to your skin. You want something that will be gentle but still effective. And that’s when I found Trefiel! 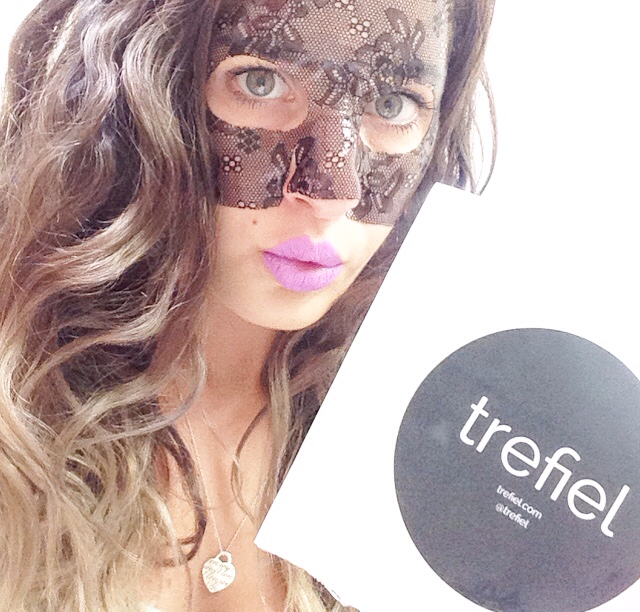 Like nothing you’ve ever seen before the hydrogel face mask by Trefiel features a black lace patterned exterior. With separate top and bottom pieces to allow for a perfect fit for every face shape. Made from plant based ingredients and GMO free, not only do they moisturise the skin but also nourish it. 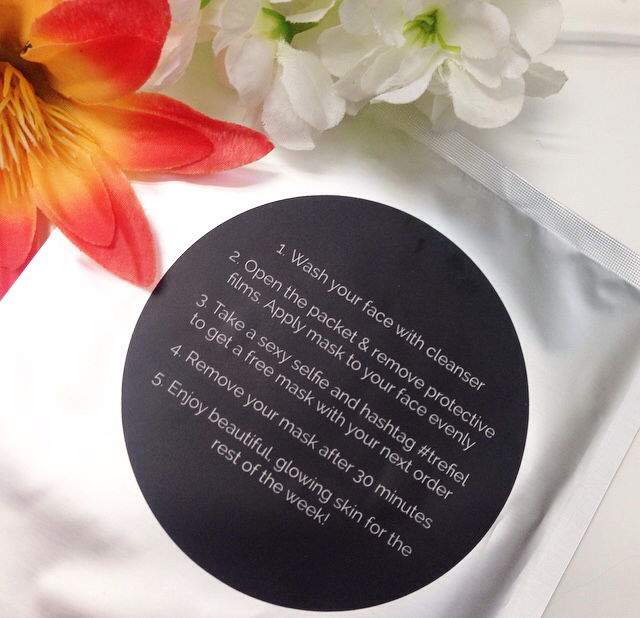 The mask creates a barrier on top of the skin while the hydrogel formula encourages water absorption. Making it perfect for any skin type. Trefiel’s ingredients are plant based and GMO free. 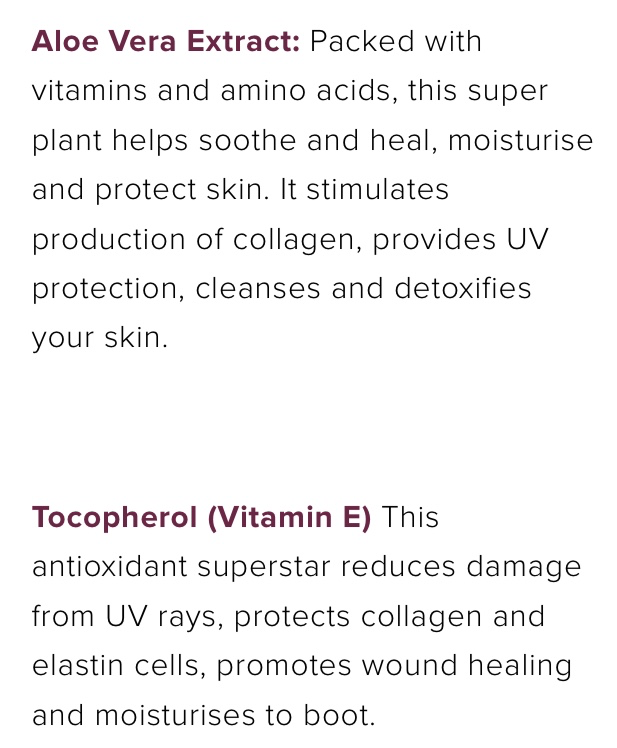 Which means they are free from harsh and damaging chemicals which are known to damage the skin. The gentle formula delivers results without irritation or clogging of your pores. Wrapped in individual silver packets with a bold black Trefiel logo, I found the packaging to be simple but sleek. Though it’s what’s on the inside that had me the most excited. Unlike the usual scary looking face masks Trefiel had me feeling like I was at a masqure ball. The patterned black lace exterior was just beautiful. I didn’t want to take it off. 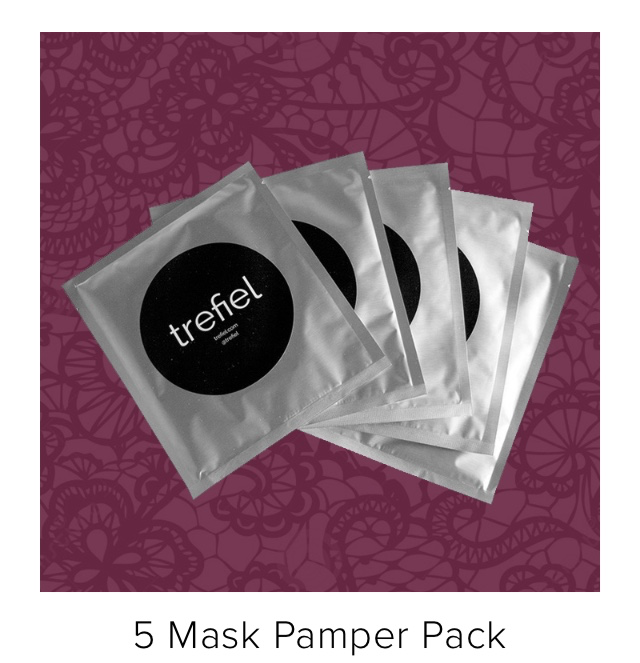 Trefiel face masks are best applied as part of your evening skincare routine, allowing your skin time to relax and absorb the natural ingredients. There’s nothing better than waking up to refreshed and beautiful skin in the morning. The masks are unique in there application as they are separated into 2 separate pieces. One for the top of your face and one for the bottom. I found that this design works really well as you can overlap the pieces where needed providing the perfect fit. Before applying the mask I washed my face with cleanser and let my face dry. After opening the packet I carefully peeled the protective films from both sides of the mask. I then applied the top piece (gel side down of course!) and followed with the bottom piece. Making sure to overlap in needed areas to fit my face better. Within minutes of applying I could feel the sensation of the ingredients at work. A calm cooling sensation, so relaxing and soothing. I left the mask on my face for approx 30 minutes before taking off and revealing my repaired and moisturised skin. The results were better than I expected. My face not only felt smooth but looked hydrated also. It didn’t cause any irritation to my skin either. It made me look and feel younger and gave my face a radiant glow for days. Available in pamper packs of 5 for $40 or 10 for $68. They can be purchased online from trefiel.com. 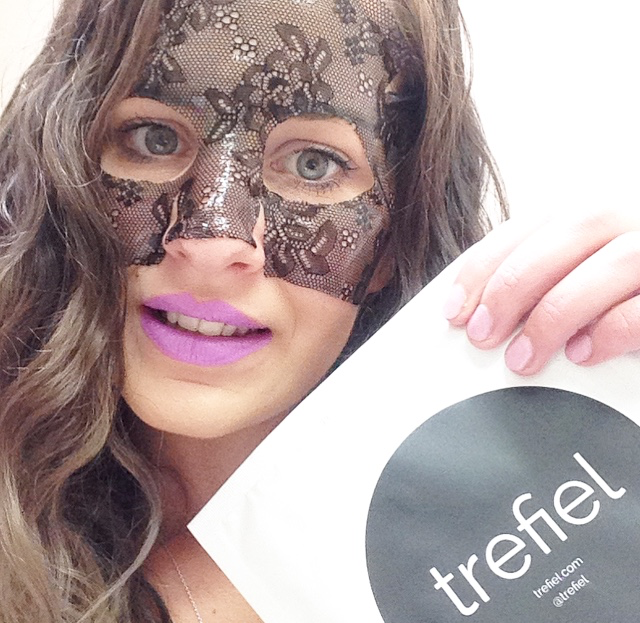 Don’t forget to take a selfie and post on instagram using the hashtag #trefiel for a free mask with your next purchase. Trefiel has also kindly offered a special discount code for all my blog readers! Just enter (LOLA10) during checkout to receive 10% off! 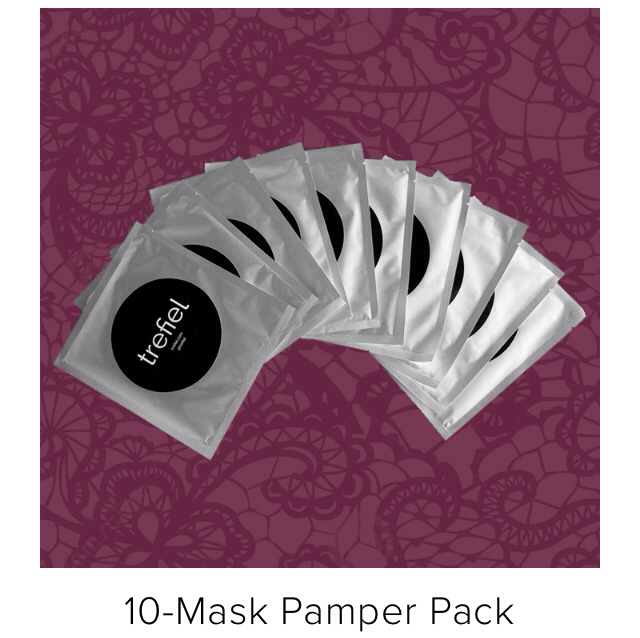 Trefiel claims that their face masks… Apply easily, promote youthful glowing skin, give no breakouts or rashes, provide a luxurious beauty experience and an ingredients list that actually works. And that’s exactly what they did. 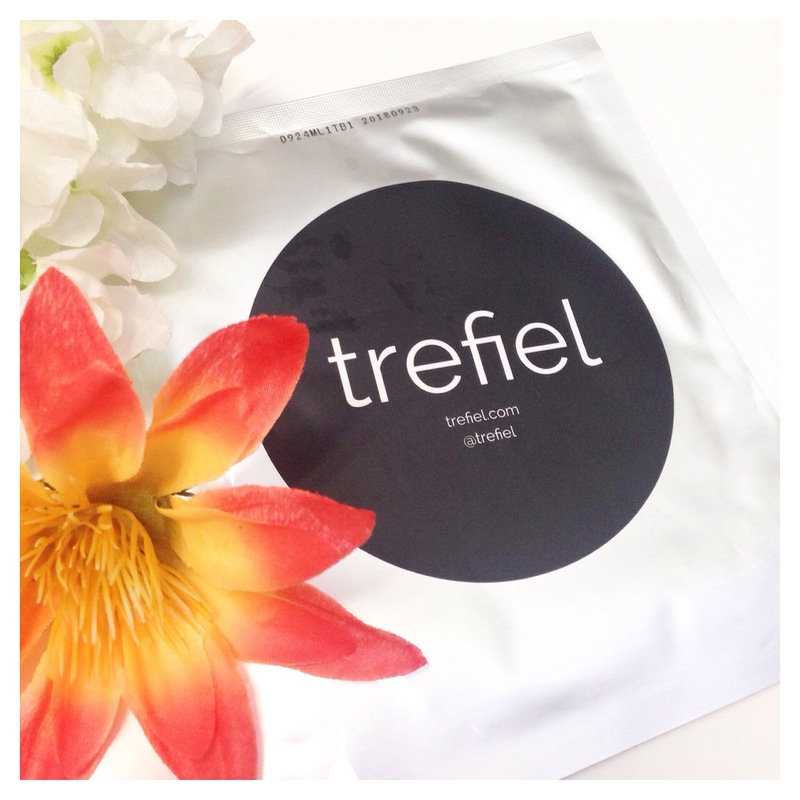 With 100% customer satisfaction, I can see Trefiel taking the lime light and becoming the next best thing in beauty! How cute are they?! We’ve never heard of the brand before, but answering the door in this definitely beats scaring the daylights out of the delivery man with a scary white sheet mask! They are cute and definitely not scary! They are a new brand that only just released their products this month!! Re-reading this today has made us so happy. So glad you had a great experience with our masks, Charmaine!